The process for preparing blood components is the centrifugation of one unit of the whole blood. The whole blood comprises of colloids, cells and crystalloids which can be differentiated into different blood components such as red blood cell, white blood cell, platelet, plasma, and precipitate. For therapeutic efficacy, these different blood components need different temperature requirements and storage conditions. The blood preparation market is developing due to the increasing use of leucocyte reduced RBCs, platelet concentrate, packed red cells, cryoprecipitate and the whole blood components. Major applications involves in blood preparation are renal impairment, pulmonary embolism, thrombocytosis, angina blood vessel complications which helps the market to grow rapidly. Increasing clinical research studies in hematology and emergence of various therapeutic agents help to treat the patients and improves the quality of life. The growing demand for blood transfusion, highly needed blood during surgical procedures and increasing number of blood disorders to make up for extreme blood loss are stimulating the growth in blood preparation market. One of the primary factors which can obstruct the market growth is the high risk of blood transmission disease such as viral hemorrhagic fever, Hepatitis B and HIV. Nevertheless, the opportunities present in the market will be highly extended by the development of advanced technologies for separating the blood components. Many companies are involved in the development of newer high-speed technologies and instruments for easily preparing blood components. North America, Europe and Asia pacific are the influential region for the growth of the blood preparation market. Favorable reimbursement policies for blood components has been noticed in those regions. In Asia Pacific, India and China provides support for the development of advanced technology for the blood preparation process. Blood components preparation involves the centrifugation of one unit of whole blood. Developed in 1960, the process is carried out by a specialized equipment known as a refrigerated centrifuge. Whole blood, which is a mixture of cellular elements, crystalloids, and colloids of varying relative density, size, and sediment rate can be separated by the application of centrifugal force. According to the World Health Organization, every year almost 108 million units of donated blood is collected across the world. The whole blood needs to be separated into components that can be used for a different indication. The rising demand for blood transfusion in the casualty department of hospitals is steering the growth of the global market for blood preparation. 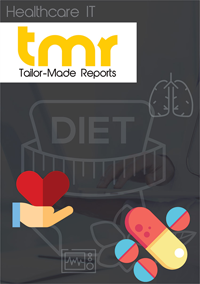 The increasing number of blood disorders and the increasing need for blood during surgical procedures and casualties to make up for blood loss are bolstering the growth of this market. According to the statistics of Center for Disease Prevention and Control, in the U.S., almost 1-2 per 1,000 individuals suffer from deep vein thrombosis (DVT) each year. To address this, the National Institutes of Health and other accredited bodies are running programs in order to raise awareness about the complications that these conditions can lead to. However, the growth of the blood preparation market is impeded due to a single major restraint. Blood transfusion involves a high risk of transmission of diseases such as HIV, viral hemorrhagic fever, and Hepatitis B, thereby limiting its use for serious cases. Nevertheless, the development of newer high-speed technology for separating blood components will extend opportunities to this market. With the development of high-speed technology for separating blood components, the blood preparation market is expected to reach new heights. Companies are engaged in the development of advanced instruments for the easy preparation of blood components. For example, Compomat G4 introduced by Fresenius Kabi can separate large volumes of blood at enhanced speed. Moreover, the rising demand for source plasma and the demand for specific blood constituents such as packed red blood cells will further present growth opportunities to this market. The use of digital technology is another trend coming to the fore in blood preparation practices. In a recent industry development, BloodCenter of Wisconsin has introduced the utilization of radio frequency identification technology (RFID) for maintaining blood utilization and inventory records. The global market for blood preparation can be broadly segmented into North America, Europe, Asia Pacific, and Rest of the World. North America is a significant regional market due to an ultra-modern healthcare infrastructure and use of hi-technology for treatment purposes. In the U.S., the entire process of blood transfusion right from collection to preparation to storage is controlled by the FDA. Various other federal agencies are striving for health insurance portability standards to come into effect for favorable reimbursements for blood components. However, Asia Pacific is expected to display robust growth in the blood preparation market in the near future. Several governments, especially in China and India are extending support for technological advancements for blood preparation processes. The continual growth of the healthcare sector in Australia and Japan will also support the growth of the Asia Pacific market for blood preparation. Some of the leading players in the global market for blood preparation include Pfizer, AstraZeneca, Celgene, Bristol-Myers, Shandong East Chemical, GlaxoSmithKline, Leo Pharma, Sanofi-Aventis, and Baxter Healthcare. Major players in this marker are investing heavily in research and development for the development of newer, effective, and cost-efficient drugs for several blood-related disorders. These companies are engaged in introducing new technologies and hiring expert personnel for the development of newer pipeline drugs to cater to the needs of the ever-increasing patient population.